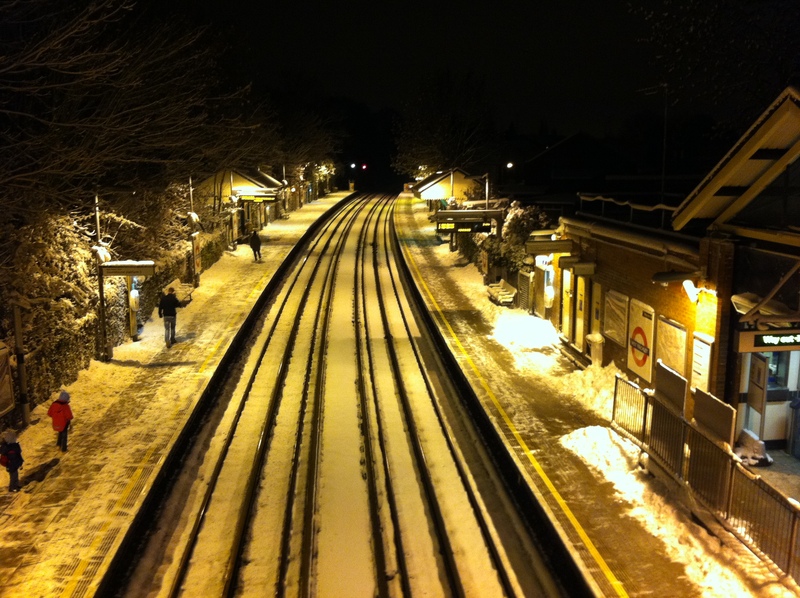 When it snows in London, the city loses a million rough edges and raw surfaces. Everything is smoothed over. The coarse, noisy cornerstones of the capital are substituted for oases of soft serenity. It becomes possible, just for a short while, to hear the sound of silence. Unassuming objects take on an incredible beauty – but a beauty that is all the more affecting by virtue of being fleeting. You don’t know for how long this change will remain, or when you’ll get to see it again. It’s a transformation that never fails to enchant me, appealing to various lingering sentimental and childlike traits. As I get older I become more stubborn in my fondness for snow, and at the same time less tolerant of people for whom it is merely an inconvenience. With each passing winter I am increasingly baffled at how something so infrequent and uncontrollable is, for some, a thing to be despised and rather brutally tamed. 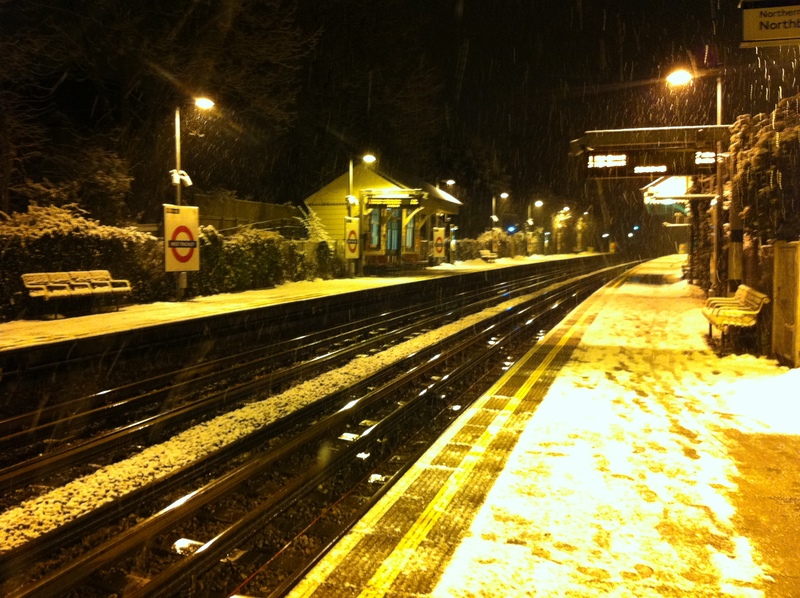 Newspaper headlines always equate snow with transport misery. Yet it also works magic. 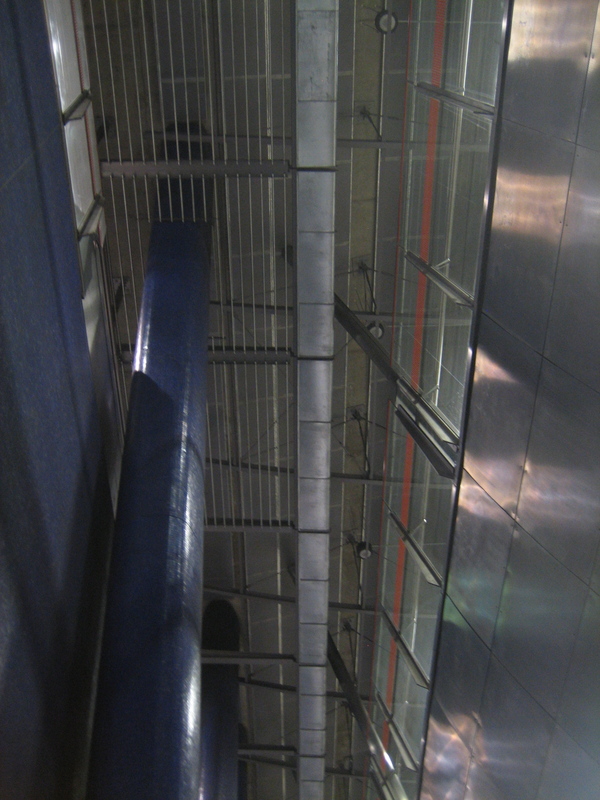 Take the Underground, or rather those stretches of line above ground. 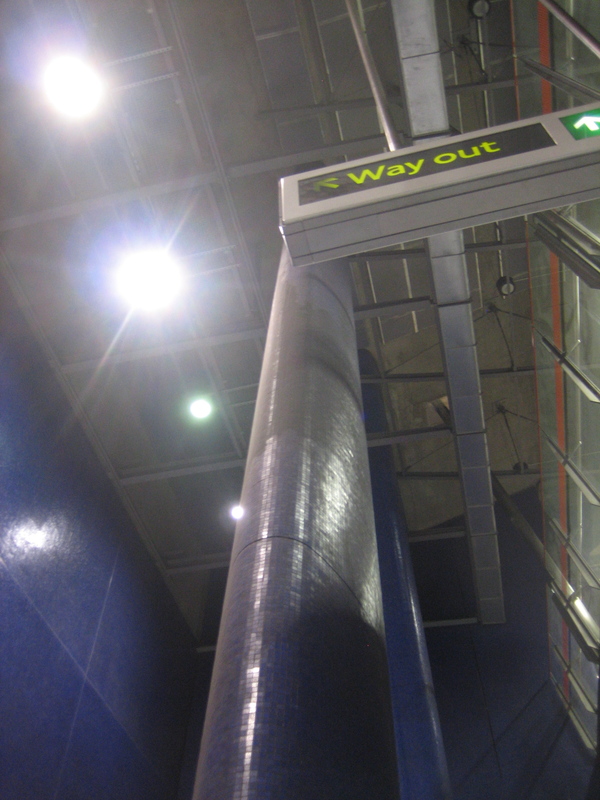 All the varied and inspired shapes and colours that comprise the network’s tapestry of stations and lines are suddenly subverted, or enhanced, or disguised, in the process ending up even more beguiling. 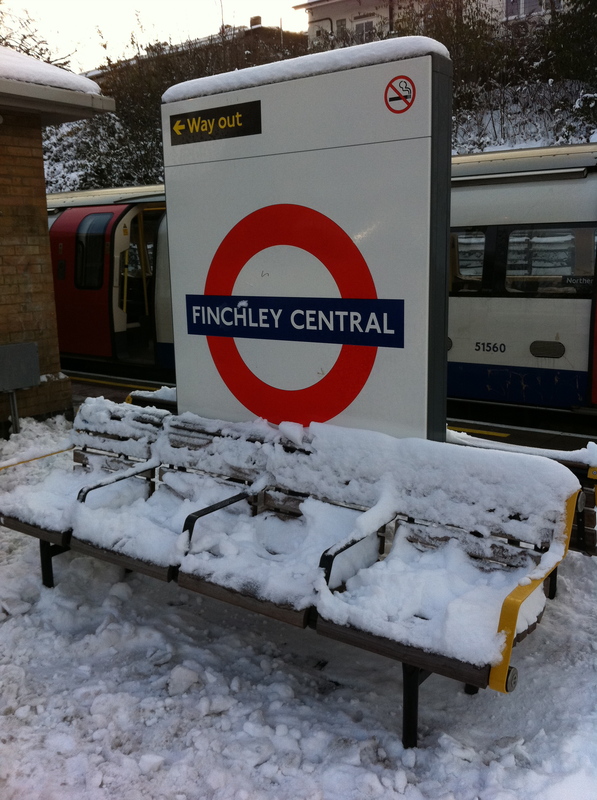 For some, the sight of a railway station in snow epitomises delay and despair. For me, it spells excitement. 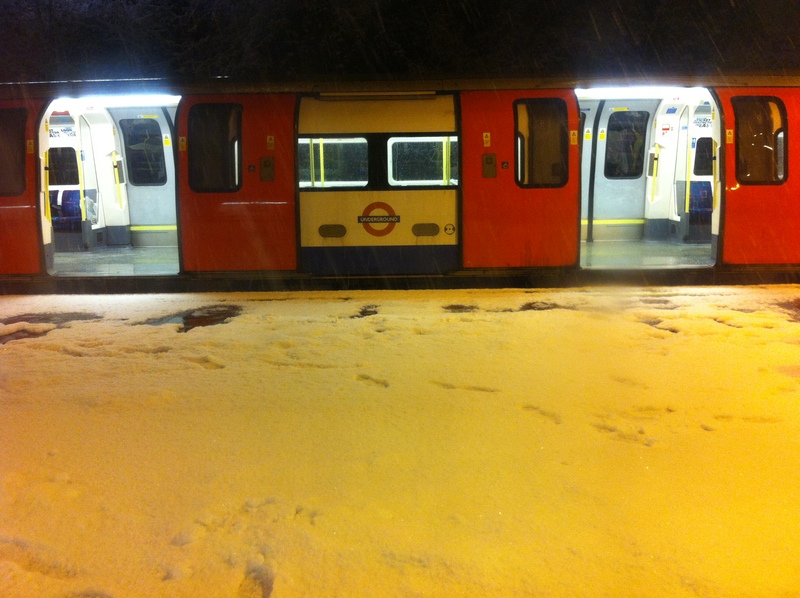 For the most part, the Underground copes astonishingly well in heavy snow. Inevitably there are times when the network reels and falls over. But it’s never for that long. Plans are put in place, extemporised services spring into life, emergency timetables take root. And all those quieter, more far-flung stations show remarkable fortitude, remaining open as long as possible, becoming still more of a beacon, a lifeline, a sanctuary. Why do rows of railway tracks appear so acutely evocative, even romantic, when carving their way stoically not just through a landscape of urban or suburban sprawl, but one that is also decked in snow? Perhaps it’s something to do with the way they represent permanence, familiarity, even reassurance, among all the novelty and dislocation. Those tracks still know the way home, even if you don’t. Moreover, the carriages that run along those tracks can still take you home. I was chased out of Greenford station while taking these photographs. 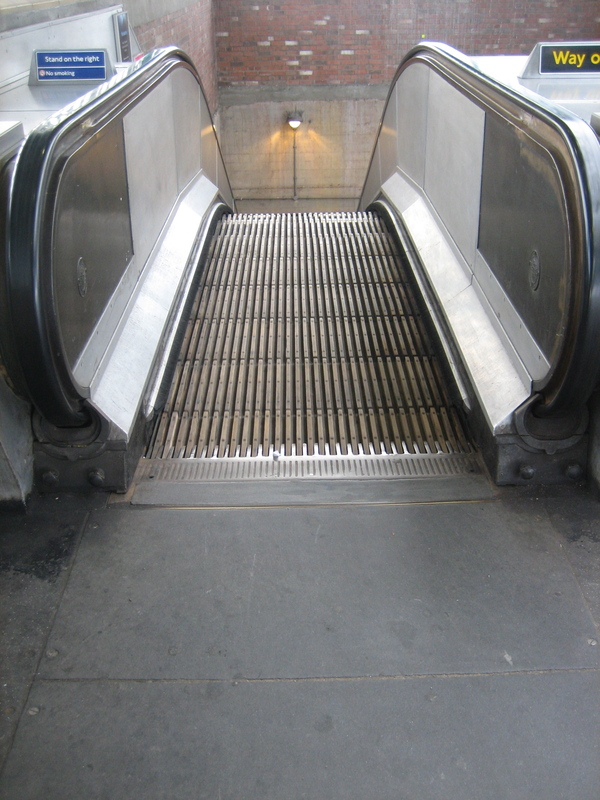 A member of staff objected to me using my camera, even though I was, as I protested, pointing it “merely at an escalator”. 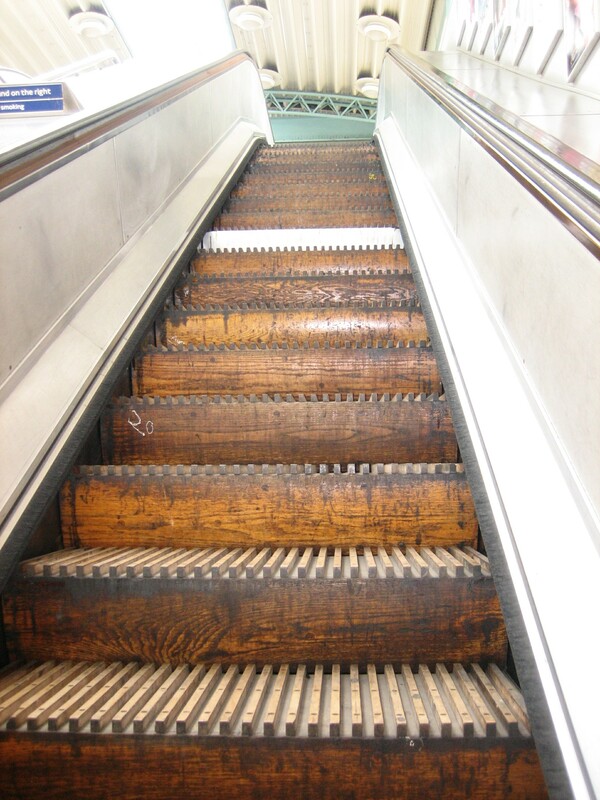 This was a slightly underhand remark, as it clearly wasn’t “merely” an escalator. Indeed, I’d come to the station precisely because it wasn’t “merely” an escalator, and was instead the only one of its kind still in service on the entire network. Why it’s the only one of its kind still to be found in use on the Underground I’ve no idea. I’m guessing it’s retained for its novelty value. 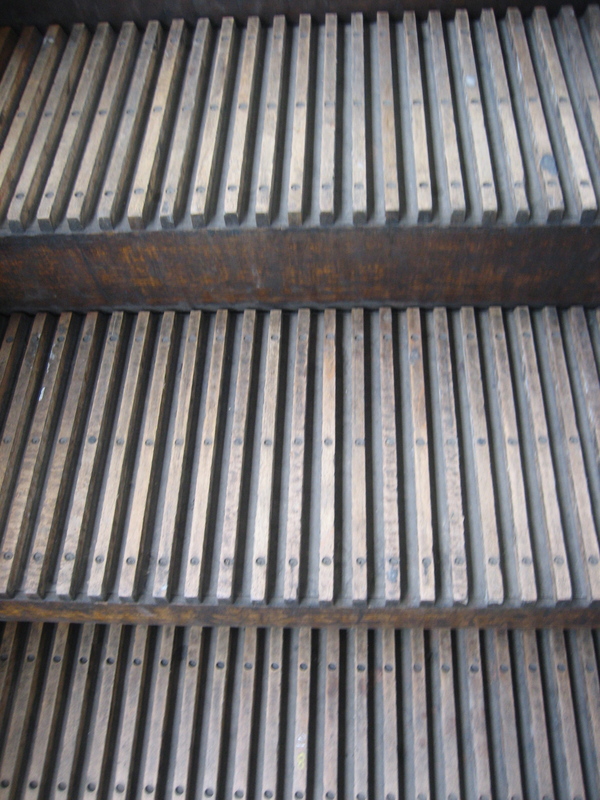 It’s around 100 years old and is certainly a charming oddity. 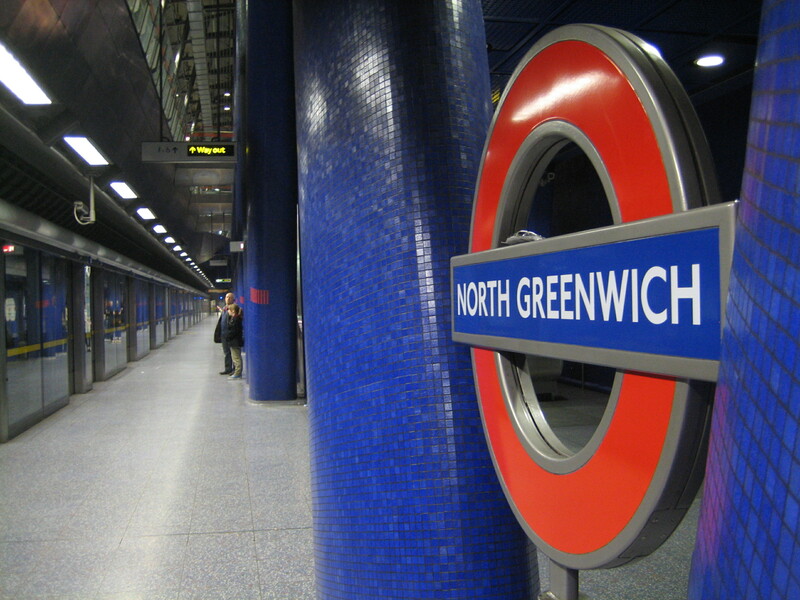 All of its cousins across the network were scrapped in the wake of the King’s Cross fire in 1987. 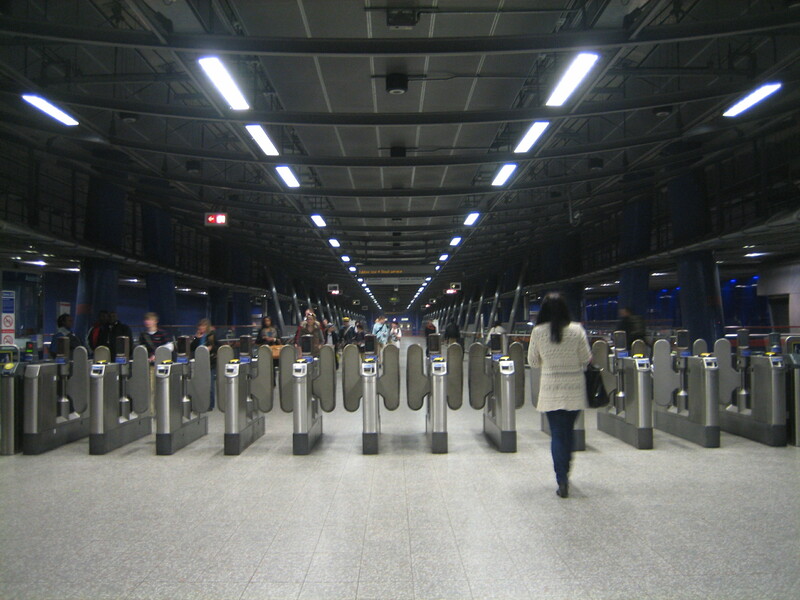 Whenever I’m chased out of stations for taking photographs – which is not often, admittedly – I find myself nursing a grudge against from wherever it is I’ve been evicted. By all means take the effort to visit Greenford and experience this unique chunk of motorised history. Just remember to secrete your camera in a specially-designed satchel, or within a ring like the one Roger Moore had in A View to a Kill. Oh, and don’t, whatever you do, behave as if you’re there to admire something.